Offshore wind energy is the technology used to generate electricity by wind using wind turbines constructed near the coastline of oceans and lakes. Offshore wind energy offers various advantages such as generation of energy from renewable sources. The energy is generated at higher speed on offshore as compared to onshore, which positively impacts the market growth. The offshore wind energy market is driven by increasing demand for renewable sources in power generation. Increasing energy consumption and rise in environmental concerns regarding depletion of natural resources are major factors increasing demand for renewable sources in power generation. For instance, according to the Electronic Industries Alliance (EIA) organization, the total world energy consumption is expected to increase from 575 quadrillion British thermal units (Btu) in 2015, to 736 quadrillion Btu in 2040, which is an increase of 28%. Therefore, increasing energy consumption is propelling demand for renewable sources in power generation, in turn positively influencing growth of the offshore wind energy market. Furthermore, according to the Department for Business, Energy & Industrial Strategy, electricity generated in Q1 of 2018, in the U.K. had a share of 30.1% of renewables, which was around 27% in Q1 2017. In Q1 2018, around 53.2% increase was observed in offshore wind electricity generation. Thus, increasing offshore wind energy generation is expected to fuel the market growth in the near future. North America is expected to witness lucrative market growth over the forecast period in the global offshore wind energy market. The growth is attributed to increasing demand for wind energy and rising investment in the wind energy sector in North America. The U.S. and Canada are major contributing economies in the wind energy sector. According to the U.S Department of Energy, around US$ 50 billion would be saved from the global damage of greenhouse gases by introducing offshore wind projects in the U.S. Furthermore, the high presence of key players in North America is driving growth of the offshore wind energy market in this region. For instance, the turbine manufacturers such as Bergey Wind Power and Kelso Energy LTD is focused on updating its turbines with advanced technologies such as onboard sensors and advanced rotor with features of injection and compression moulding. 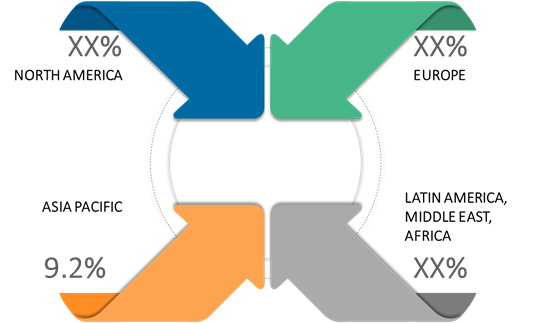 Asia Pacific is expected to hold the significant market share over the projected period in the market. In addition to this, the region pegged for 2.12 GW in 2018 during the projected period in the global offshore wind turbine market. Major players in the market are focusing on adopting key strategies such as partnerships & collaborations in the global offshore wind energy market. For instance, in April 2018, MHI Vestas Offshore Wind announced its collaboration with Ramboll, company that produced the industry’s first encapsulated foundation load software tool. The collaboration helped the company to develop software tool allowing foundation designers to perform integrated load analyses independently in closed-system, version of the full turbine model used for detailed foundation load simulations. 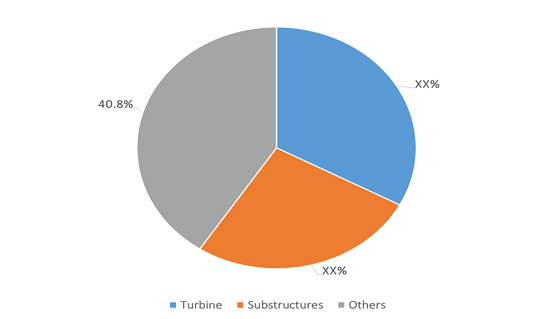 Key players operating in the global offshore wind energy market include MHI Vestas Offshore Wind, Siemens Gamesa Renewable Energy, S.A., J.J Cole Collections, Sinovel Wind Group Co., Ltd, Erndtebrücker Eisenwerk Gmbh & Co. Kg, Northland Power Inc., ABB Ltd., Ming Yang Smart Energy Group Limited, Adwen GmBH, General Electric Company, A2SEA A/S, Nexans, and others. Offshore wind energy is the technology used to generate electricity by wind using wind turbines constructed near the coastline of oceans and lakes. Offshore wind energy offers various advantages such as generation of energy from renewable sources. The energy is generated at higher speeds on offshore than on onshore, which positively impacts the market growth. Increasing demand for renewable sources in power generation is the underlying factor driving the global offshore wind energy market growth. This is due to the stringent government regulations and policies regarding fossil fuel use, as it leads to high carbon emissions. Globally, energy related carbon dioxide emissions are expected to increase to 45 billion metric tons by 2040, according to U.S Energy Information Administration (EIA), 2013. Therefore, rising concerns about greenhouse gases is leading to high demand for renewable sources of energy, which in turn is expected to drive growth of the offshore wind market. Key players and organizations in the market are focusing on technological advancements to increase wind energy generation and reduce production cost. According to the study by GrouPrognos AG and The Fichtner Group, the offshore technology contains significant cost reduction potential with the help of technical innovation and networking of players (partnership). For instance, in 2016, ABB Ltd. announced a strategic partnership with Aibel to deliver state-of-the-art offshore wind integration solutions. ABB is focused on delivering core high voltage direct current technology. Whereas, Aibel will take up the turnkey Engineering, procurement, and construction responsibility for offshore platforms. * Browse 23 market data tables* and 18 figures* on "Offshore Wind Energy Market” - Global forecast to 2027.